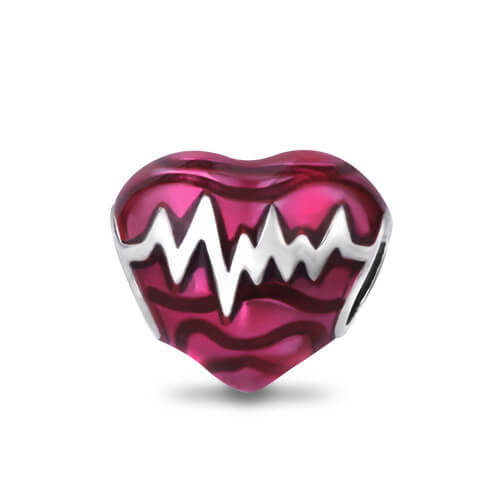 You can see it as a replica of your heart that is made of 925 sterling silver with a baking varnish on the surface and it is a reddish-pink color that is very deep and rich looking. The jewel-tone hue is decorated with dark swirls to mimic a real heart. Across the front of this bead there is a silver heartbeat that really pops against the darker backdrop.You can also gift this artistic, heart charm to someone in your life that makes your heart beat.